Each round mandala silkscreen design measures approximately 34 mm or 1 3/8 inches in diameter, plus there is a border of approximately 1/4" around the design. 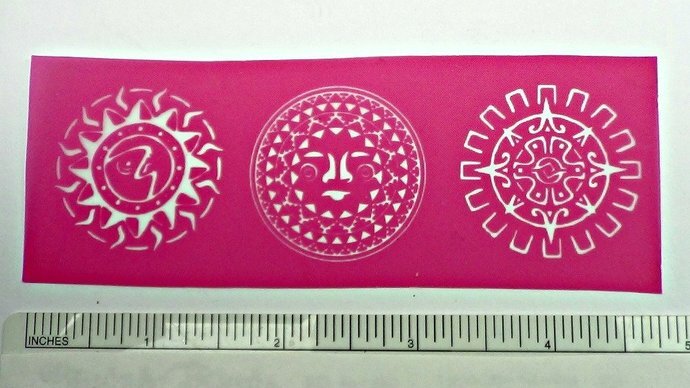 There are 3 mandalas, great for pendants, earrings etc. If you need a left/right design for the fish, simply turn it over as either side of the screen can be used. When using paint you'd have to wash and dry the screen before using the other side, that is why I sell left right imaged screens as well. Note: This is not an openwork stencil that can be traced with a pencil, but a mesh with a design whereby paint particles get pushed through the screen onto a surface. Traditionally acrylic paint is used with these silkscreens, but years ago I wrote some of the polymer clay tutorial examples listed in the photos using chalk, pan pastel, resin and more. The examples are of different silkscreens I make, but will give you an idea on how to use this design. If using paints, please use Jacquard, Jones Tones or Golden Acrylic Paints or paints with fine particles. For paints you require a squeegee or an old credit card. 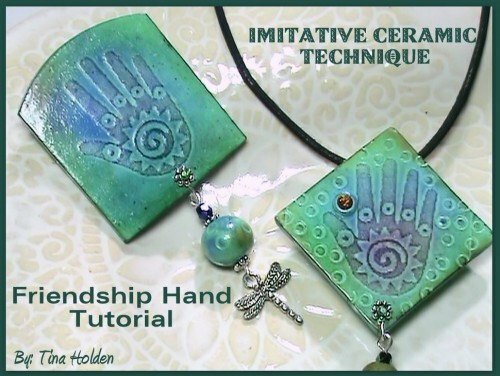 The Celtic dog was made with paints, the green sun and moon with my low relief or friendship hand tutorial. Stencils are made to order, so please allow 2 - 3 days for me to get them made. After using these paints, you should gently wash the screen in warm water as soon as possible as dry paints are hard if not impossible to remove. Let screen dry before using again. Following this direction will extend the life of the screen over many uses.